Former football player OJ Simpson, who was acquitted of murder in 1995, confessed to a “hypothetical” murder he would have committed had he actually been guilty. The confession took place in an interview Fox conducted with him in 2006. Simpson described the details of the “hypothetical” murder. 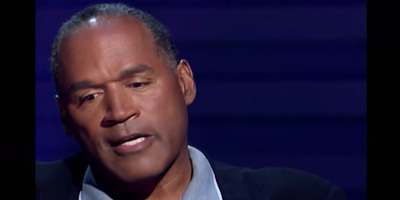 Footage from an interview conducted with retired football player OJ Simpson in 2006 aired over the weekend and featured Simpson, who was infamously found not guilty in 1995 of murdering his ex-wife Nicole Brown Simpson and her friend, making a “hypothetical” confession about how he would have committed the high-profile murder. The interview, which was part of a two-hour Fox special and has long remained under lock and key, was cleared for release by the family of the murder victims. In a clip from the special, Simpson described the lead-up to the “hypothetical” murder and how it took place. “In the book the hypothetical is Charlie came by and mentioned something about what was going on at her house,” Simpson said in the interview, referring to his ex-wife. The pair then hypothetically went to the home, where they were hypothetically confronted by both Simpson’s ex-wife and her friend. The interview was shot around the time Simpson gave another hypothetical account of the murders in the book “If I Did It,” written by Fred and Kim Goldman. The book was initially shelved after public outcry, but was eventually released in 2007 by another publisher. Simpson’s acquittal in the murder trial was seen at the time as a miscarriage of justice, and remains controversial to this day. Executive producer Terry Wrong said the interview was initially kept from airing because the families of the murder victims didn’t want Simpson to profit from its release. He described how the footage of the interview was unearthed years later. Correction: An earlier version of this story said Fox News had broadcast the Simpson special. It was the Fox Broadcasting Network.